Criminal defense is the lifeblood of The Nolan Law Firm at our Mesa, Arizona, office. As attorneys, we use our substantial trial experience and our confidence, with just the right amount of humility, to be most persuasive in the courtroom when it counts most for our defendant-clients. MoreCriminal defense is the lifeblood of The Nolan Law Firm at our Mesa, Arizona, office. As attorneys, we use our substantial trial experience and our confidence, with just the right amount of humility, to be most persuasive in the courtroom when it counts most for our defendant-clients. We believe we must work harder and smarter than our best effort for each and every client. Ultimate preparation and an aggressive defense is our motto. Our goal is to restore our clients' peace of mind as we lift every stone to look for a way out of their toughest of legal problems. We offer our vast experience and familiarity in federal, state, justice and municipal courts to all clients facing charges in these venues in the Phoenix metropolitan area and across the state of Arizona. 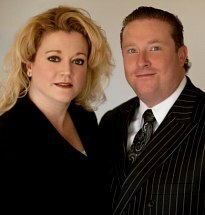 The Nolan Law Firm offers more than two decades of combined legal experience. Attorney Todd Nolan received the CALI Award for Excellence in Trial Practice. Attorney Cari Nolan shares her experience gained as Unit Chief in the Criminal Appeals Section of the Arizona Attorney General's Office with all of the law firms' post-conviction and appellate clients. The office offers 24-hour, seven-day-a-week legal advice. We gladly accept credit cards. We also offer free initial consultations.